At some point every little boy or girl wants to play Cowboys and Indians. If your little gunslinger loves playing the role of Sheriff, this hat is perfect! 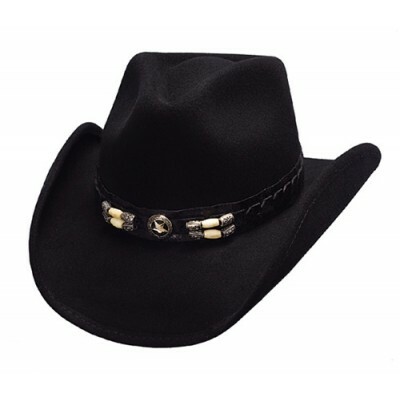 This children's hat has a 3 1/4" brim and 3 3/4" crown, and a sheriff's star concho on the band. Your little one will look great running around with this traditionally styled hat. 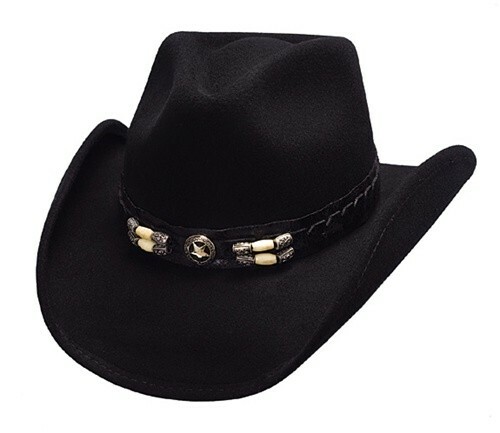 Whether they need a good costume or you'd like to pass on a love for western fashion, this hat is a great choice!